Last month I was back down in Disney to run Princess weekend – both the 10k and the half marathon. The day I left for that trip, for personal reasons I won’t get into, I got hit with some of the worst depression and anxiety I’ve had (I don’t talk about it often, but for people who are close to me or read the blog really regularly, you’ll know this is something I struggle with). So for most of my flight out on Wednesday night and most of the day in Epcot, there were a lot of tears and mini panic attacks. And it was one of those things that just hit you and made you realize people care about you at a time when you need it the absolute most. It was sent anonymously and I still do not know who might have sent them. I posted on facebook but no one came forward. I don’t know if they knew about my anxiety issues or it was just coincidence and they wanted to wish me luck in the races. I don’t know if they knew sending it in a mug made it even better because of my mug obsession. But that gesture means more to me than I can possibly say at a time when I really needed to be reminded that I have people on my side. But moving on to the actual mug! 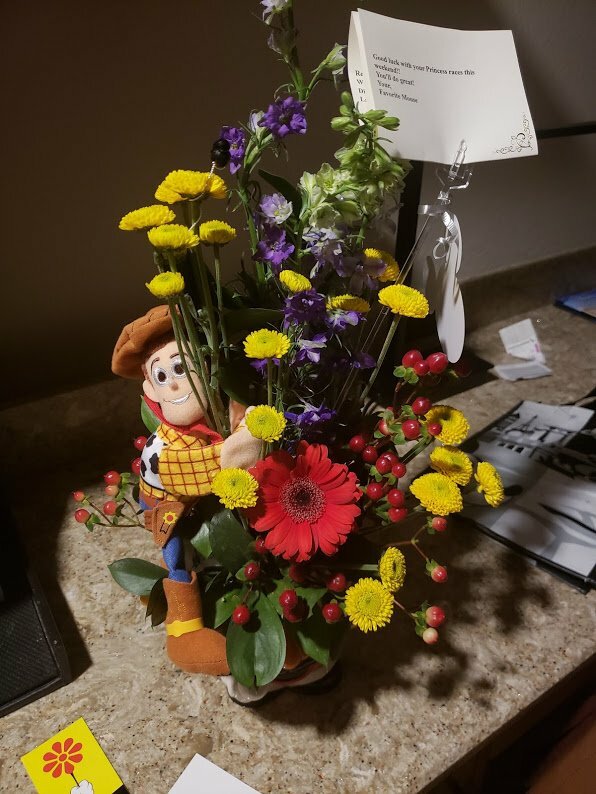 My Toy Story themed flower arrangement came in a Mr. 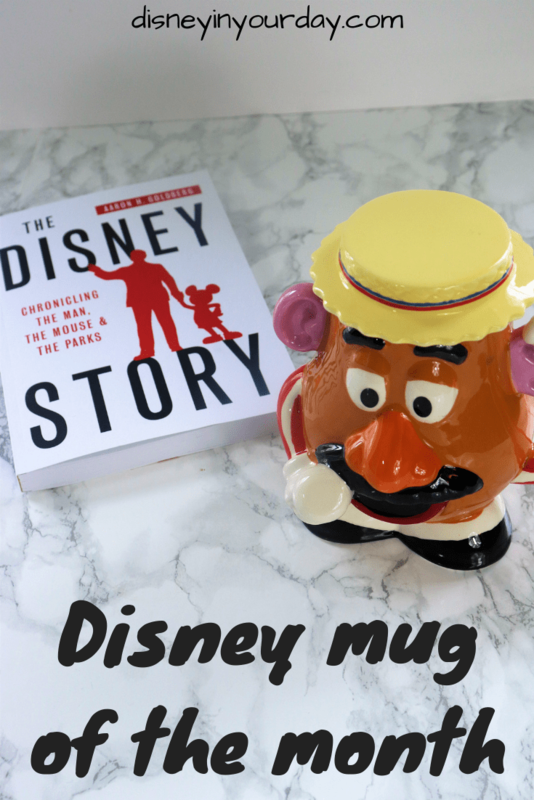 Potato Head mug! 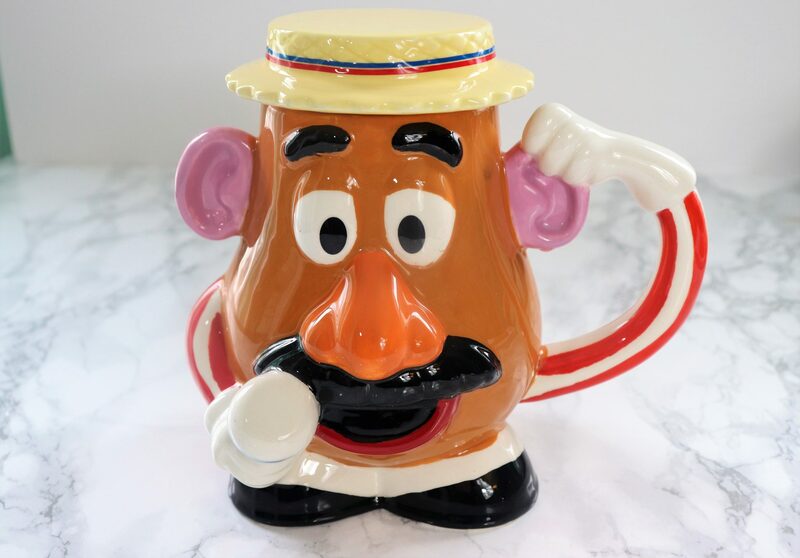 He is super fun and is themed to look like the Mr. Potato Head from Toy Story Midway Mania. He’s got his microphone and hat – and the hat is, of course, removable! What’s in my mug: I have a delicious caramel creme coffee I’m working on right now. One of the high schoolers who works after school at the library was selling it for a fundraiser to support DECA so I bought some. I’m glad I did, because it’s quite tasty! 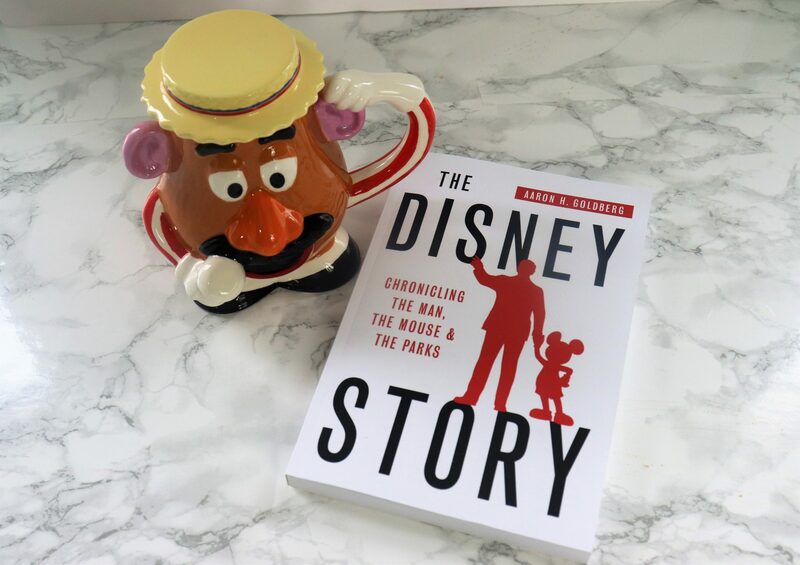 What I’m currently reading: Our latest book for the Disney Book Club is The Disney Story. We wanted something non-fiction to learn more about Walt and the parks. So far it’s interesting, but it’s pretty slow reading for me. I enjoy non-fiction but this is pretty dry. 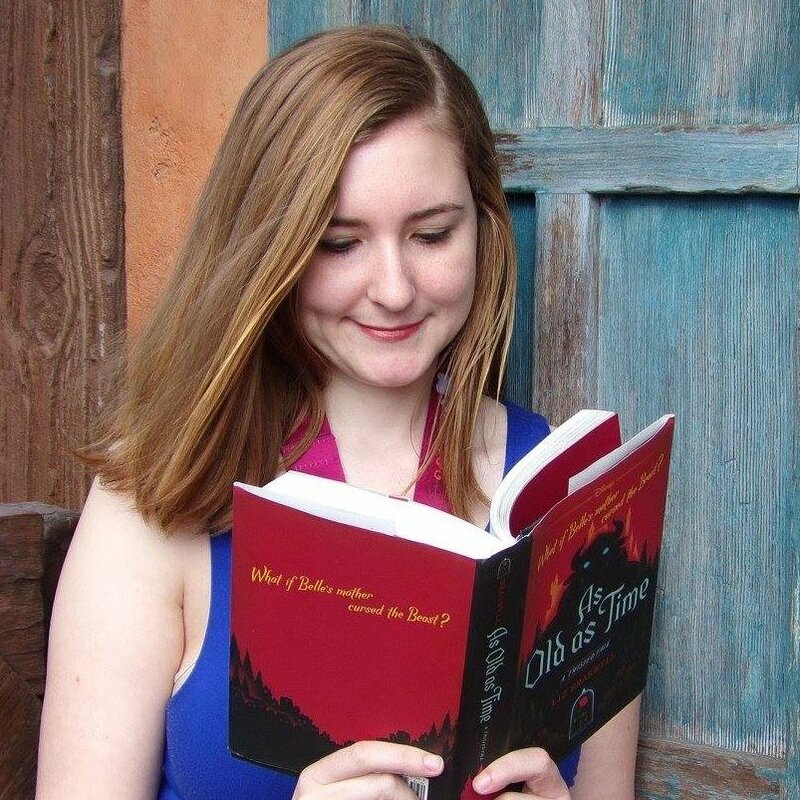 I thought it would be more about Walt himself, but it ends up being more of a history of the company – the movies and the theme parks, and not really his life. But that being said I’m learning some interesting things!